my black and deep desires." This episode begins where the last left off, with Nick confused by the fact that he momentarily switched with Adalind, as a concerned Woo looks on. Nick explains that while he didn't know where he was, he is aware of where he is now. Nick adds that he saw some kind of own room but both Juliet and Woo are still concerned and decide that Nick needs to go to the hospital. Adalind heads over to the small hole in the cell but it is quickly sealed. A captured Truble is tied to a chair and is confronted by Chavez, who vogues to affirm her belief that Truble is a Grimm. Chavez wants to know why Truble cut off Stuart's head and why Nick took Truble in. Chavez tells Truble that there are people who find what she is and what she can do important, adding that they would be interested in Truble's services. Chavez tells Truble that being able to identify and destroy violent wessen is an important gift and that there is a place for Truble with a select group of people who work together, all with the same goal. Chavez orders Truble untied and reiterates her offer, adding that she will be in touch. Truble takes off running and Chavez calls out that Truble is to tell no one. At the hospital, Nick is told by the doctor that he sees no medical explanation for what happened and advises Nick to see an ophthalmologist. In a seedy bar, people gather ringside for a fight. Bobby is late arriving for the fight and handed is mone, by Stan Kingston and told not to hold back. In his dressing room, Clay Pickman readies himself for the fight. Bobby enters and begins beating Clay, until he vogues. Kingston walks in after listening passively to the beating and Clay is back to human and keyed up for the fight. In the ring, Clay is ready to charge at his opponent and is actually held back. Behind the scenes, Bobby complains to Kingston that he was not given enough money because Clay actually broke his jaw. The bill rings and the fight starts. Clay knocks out his opponent in thirty-seven seconds. Back home, Nick has drawn a picture of what he saw and Juliet is quick to point out that this started after what Adalind did. Nick comments that he wishes that things were back to how they used to be, adding that he doesn't know what normal is anymore. Juliet then asks about the picture of Truble that Woo brought over but Nick simply says that he is not a Grimm anymore. A hectic Truble bursts in and quickly heads upstairs before she can be questioned. Kingston is on the phone making arrangements for Clay, when Abe enters arguing that they are pushing Clay along too fast. Kingston is adamant however because with three more wins, Clay will be fighting in Las Vegas. Kingston then gets a call from an injured Bobby, demanding that Kingston make things right and threatening to report Kingston to the commission. Bobby demands 25K and hangs up. Nick is still going through testing and his told that his optic nerves are healthy, though there are some overactive cells in his eyes. He learns that he was born with special vision. Monroe and Rosalie sit down with Hank and explain Juliet's worries about Nick becoming a Grimm again. They reveal Juliet's suggestion that not finding a cure would be the only way for her and Nick to have a future together. Rosalie is concerned because there are a lot of bad wessen and Hank points out that there are very few good Grimm. Monroe brings up talking to Renard because Renard might know what was in the potion. Before they can finish their talk, Bud knocks on the door. Budd rushes forward with his concerns about whether or not Truble is good or bad and Hank assures Budd that since Truble is a friend of Nick's, they have nothing to worry about. Budd says that it might be good to have two Grimms and so Juliet and Monroe reveal that Nick is no longer a Grimm. A stunned Bud has to sit down, so Monroe asks him not to tell anyone. Bud agrees because there are a lot of wessen who would like to know that Nick is no longer a Grimm. Bobby is sitting in his car drinking, when a wessen approaches and drags him out of the car. The next day, Hank and Nick arrive at a crime scene, where Woo questions Nick's health. Of course, the body belongs to Bobby. Hank observes the huge holes in Bobby's body. Woo hands over an address but when Nick starts to walk off, Woo tells Nick that they really need to talk. Nick and Hank question Bobby's sister, where they learn that Bobby returned home beaten. She explains that Bobby loved boxing but he had gotten hit too many times. In his room, Renard speaks with Elizabeth, trying to sell the lie that he turned his daughter over to the royals. Elizabeth says that giving the child to the resistance would be good for the royals to believe but she quickly discounts this as a possibility and asks where the child is. They are interrupted when Monroe and Rosalie arrive at the hospital. Elizabeth suggests that in order to help Nick, they need to know what was in the potion. Renard starts to get out of bed but Elizabeth is quick to inform him that he is not going anywhere because he is not well enough. Renard argues that Nick helped him hide his daughter, so Elizabeth offers to go with Monroe and Rosalie. Monroe is quick to turn down the offer but Elizabeth says that to beat a hexinbeast like Adalind, they need a hexinbeast like her. Adalind is still in her cell with only rats for company. Adalind vogues and tries screaming at the barred windows, only to have the sound reflect back and hurt her. Clay is exercising, when Nick and Hank arrive at the gym. Kingston calls Clay over and informs the two cops that Clay is going to be the next champion. Hank and Nick stay on topic and say that they are there to investigate the murder of Bobby. Kingston replies that he helps ex boxers when he can and had tossed him a few bucks to keep the riffraff out. Abe and Clay both deny seeing Bobby. After Nick and Hank leave, Clay questions if he hit Bobby too hard but Kingston argues that Clay didn't do anything that Bobby didn't get paid for. Outside of the gym, both Hank and Nick agree that they don't trust Kingston. Hank adds that since Bobby was an ex fighter, whoever beat him up, had to know how to handle themselves. A very upset Clay, stands a few feet away, punching an industrial garbage binsand Hank simply says that it doesn't look normal. Clay has completely vogued but since Nick is no longer a Grimm, he cannot see it. Back at the station, Hank looks over Kingston and Clay's record. Hank points out that in boxing the kind of punches a Wessen can throw can lead to murder. Hank suggests bringing Truble in on this case but Nick says no. Hank argues that Truble could tell them what kind of wessen they are dealing with but Nick points out that Truble almost got killed the last time and that he cannot protect her anymore. Nick questions if Truble is to be brought in on any case that involves Wessen and points out that this is not fair to her because she is not a cop. Hank argues that this will allow Nick to teach Truble. Elizabeth, Monroe and Rosalie arrive at the place where Adalind mixed the potion. They find what remains in the cauldron and when Elizabeth tastes it, she shifts temporarily into Juliet. Elizabeth instructs Rosalie and Monroe to look for a book which won't open. Nick and Hank approach Truble about the murder case, asking her to spend time at the gym working out. Nick tells Hank not to follow anyone or get involved because all they want to know is who is Wessen, adding that Truble is to call the moment she sees something. When Truble gets out of the car, Hank assures Nick that Truble will be fine. Nick and Hank head to Clay's house to ascertain what he was doing the night before. They learn that Clay has been with Kingston for about a year. It seems that Clay's father took off awhile ago. Nick gets a call from Woo, saying that they have found Bobby's car. Woo reports that yesterday, Bobby called Kingston. At the gym, Truble is working out and asks Clay for help wrapping up her hands. They have a talk about boxing and Clay admits that he didn't like boxing as a kid. Clay admits that he only boxes for money but Truble points out that there are easier ways to make money. Kingston interrupts their conversation telling Truble to get lost. When Truble asserts that she is a fighter, Kingston calls Hurricane over. Abe helps Truble getting gloved up and she heads into the ring, as Hank and Nick arrive. Hurricane vogues and then charges Truble quickly knocking Truble to the ground. Nick wants to stop the fight but Hank does not want Truble to have her cover blown. Truble gets back on her feet and though she has to fight a little dirty, she manages to knock Hurricane out. Of course, Truble fighting dirty excites Kingston. Kingston orders Abe to keep Clay in the dressing room while he talks to Hank and Nick. Nick brings up the call between Kingston and Bobby and Kingston explains it as Bobby asking for money. Kingston then explains that he was having dinner with Abe the night before. In the dressing room, Clay is panicked that the cops know he hurt Bobby. Abe is adamant that Clay didn't kill Bobby but Clay begs Abe to tell Kingston that he cannot fight anymore. They are interrupted by Kingstan, who says that as long as they are a team, the cops will never know what Clay did. Kingstan reminds Clay that his mother will be sitting ringside tonight and that there will be a lot of press. Clay leaves and Kingstan then orders Abe to get better guys this time to get Clay fired up. Abe says that he isn't going to do it because Clay doesn't want to do it anymore. Kingston replies that this is his decision and that Clay is going all of the way. Abe demands that Kingston cancel the fight, or he will tell Clay the truth about what happened to Bobby. Kingston demands that Abe shut his mouth and do as he is told, then both men vogue. What neither Abe or Kingston realise, is that this was witnessed by Truble. Truble runs outside and catches up with Hank and Nick to report that though Kingstan and Abe are different, they are both Wessen. Truble hops in the back seat and the three take off for the trailer. Adalind is talking to the voice, who questions if Adalind would be happy if she was told how to leave. The voice tells Adalind, six stones in, three stones up, through the wall you must try. Adalind pushes on the stone in question and it opens up a passage way, which quickly seals behind her. Adalind comes face to Hoffman, who questions if Adalind wants to find her baby. Hoffman gives Adalind food, saying that they way out is treacherous and she will need her strength. Rosalie finds a book that won't open and so Elizabeth takes a knife and cuts herself. Elizabeth drops her blood into the binding and the book opens up. Elizabeth says that she can reverse the spell but will need a place which is untainted by another hexinbeast. Rosalie offers up the spice shop. Abe is about to call the cops, but a Wessen bursts in and takes him away. Nick and Truble go through the grimopedia and they manage to find out what Abe and Clay are. Nick gets a phone call saying that Abe's body has been found close to the gym. At the scene, Hank and Nick see the same holes on Abe's body, along with a note saying that he killed Bobby. At the gym, the new thugs are greeted by Kingstan but before they can issue Clay his beating, Nick and Hank arrive. Nick accuses Kingstan of killing Bobby and Abe, adding that Kingstan is wessen. Kingstan tests Nick and Hank by voguing and when they don't immediately respond, he is quick to say that Nick and Hank don't know anything. Truble appears behind Kingstan, revealing that she is the Grimm. A fight breaks out and Truble is forced to kill Kingstan, while saving Nick's life. When Truble apologises for killing Kingstan Nick simply says that she didn't,that she wasn't there and that he killed Kingstan, when Kingstan attacked him. Truble leaves and Nick tells Hank that they cannot keep doing this. Clay sits alone when his mother enters the dressing room. Clay says that he doesn't want to fight and that this is killing him but his mother reveals that Abe and Kingstan did what she told him to do. She then slaps Clay and starts to hit him with a wooden pole, yelling that Clay is to get up. Truble bursts in on the beating and reports that Clay doesn't have to fight because Kingstan is dead. The mother vogues demanding that Truble be killed because she is Grimm. Clay instead attacks his mother but is stopped by Nick before it can get too far out of hand. Clay then breaks his own hand and forfeits the fight. Elizabeth, Monroe and Rosalie work on the spell, Elizabth comments that the spell Adalind used tied Nick and Adalind together in dangerous ways. What none of them are aware of is that there are two masked men sitting outside of the shop. I for one am seriously glad that Monroe and Rosalie are continuing to pursue a cure despite Juliet's expressed wants. At the end of the day, this should be Nick's choice. 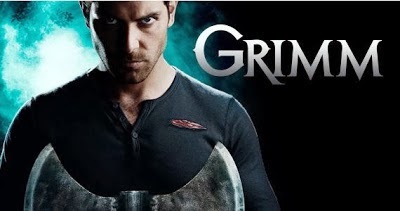 The doctor's visit was used to reify that being a Grimm is a part of who Nick is. Though it may be strange to others, this is perfectly normal to Nick. I think that this was necessary for Nick to hear given his conflict about no longer being Grimm. Okay, so Truble is the only Grimm on the scene and though Nick might like to believe it, she is no fainting flower. Truble has proven time and time again that she can defend herself, even if she got into trouble dealing with the last wessen. I do think that this attempt to disempower Truble has more to do with Nick, feeling useless in the face of the wessen he has had to confront in the last two episodes. Yes, some of Nick's concern is legitimate but I believe that it deeply bothers Nick that he is well and truly vulnerable for the first time in a long time. I think that Elizabeth is going to be a very interesting character. She is strong and very aware of her own power. It's clear that Renard doesn't trust his own mother and so I hope that we are given some backstory there and that she doesn't turn out to be evil. Other than Mommy Grimm the only strong women on the show to date have been villains. Grimm needs to deal with its gender issues.